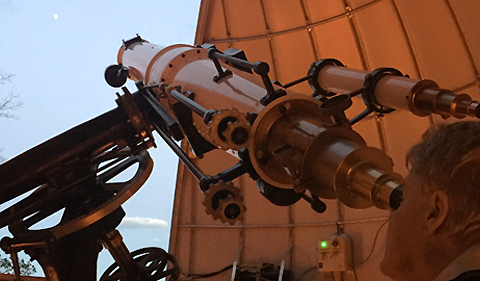 Ohio University opened a new campus observatory for undergraduate teaching and public outreach in May 2017. Public telescope nights have been scheduled through December 2017. Public Telescope Night is hosted by the Ohio University astronomy faculty and students. It can be canceled if the sky is cloudy or stormy. To find out about cancellations please check the Twitter feed of OHIOobservatory. The Ohio University Observatory is sited at The Ridges on the hilltop between Konneker Research Laboratory and the water tower. Astrophysical Institute faculty members sponsor programming at the observatory. 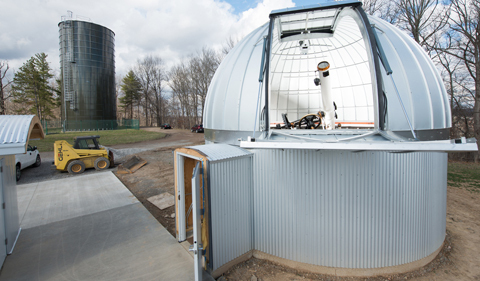 Images by photographers Jim Korpi and Ben Siegel are combined to highlight the May 2017 Ohio University Observatory opening ceremony and the refurbished Fecker telescope. The telescope was put to good use as the night sky darkened and the clouds parted on an otherwise rainy night. 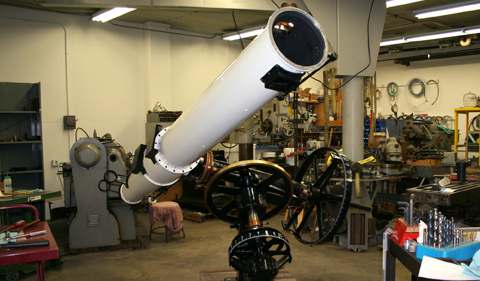 The study of Astronomy has deep roots at Ohio University. As the institution’s chief academic officer, Dr. Benoit shares milestones from the early decades to a remarkable connection between our observatories in Arizona and in Athens. The construction of night sky observing centers in Ohio began thousands of years ago. In this overview, Astronomy Instructor Tom O’Grady touches briefly upon key historical figures and moments in time. What roles did U.S. President John Quincy Adams, George Willis Richtey of Meigs County, Ohio, and Mathematics Professor Victor Goedicke play in the development of astronomical studies throughout Ohio? The post New Observatory Draws Visitors Skyward appeared first on Ohio University | College of Arts & Sciences. 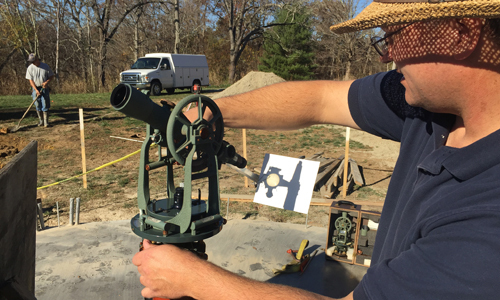 The post Ohio University Observatory Opening Set for May 6 appeared first on Ohio University | College of Arts & Sciences. The post Aligning the Observatory Telescope with Polar Axis of Earth appeared first on Ohio University | College of Arts & Sciences. The post New Astronomy Observatory Under Construction at The Ridges appeared first on Ohio University | College of Arts & Sciences.